Still voted the number one alternative to Microsoft Exchange, MDaemon is aimed at small business owners who want the extra privacy and control that an on-premise email service can offer. It’s a great tool to have in your armoury as an IT Service Provider, Reseller or MSP and what’s more, as a partner programme member you’re entitled to a fully functional, free copy for your own use. New to MDaemon Email Server? 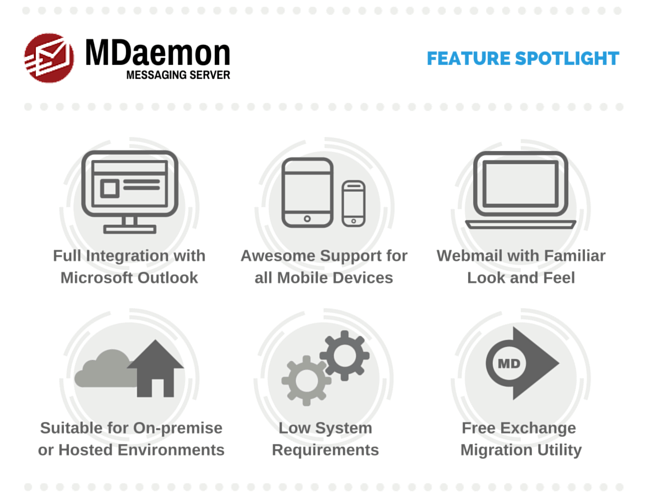 MDaemon Messaging Server is a Windows-based email server software that provides a familiar user experience to Exchange but without the same level of cost and management complexity. 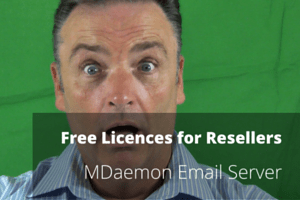 Provided you’re a registered member of our partner programme at ‘Reseller’ level or above and currently listed as selling MDaemon, you’ll be able to request an NFR licence. Add a 1 year MDaemon licence to your shopping basket here.